The common European currency has appreciated about 1.10% in values against the Canadian Dollar since February 4. The currency pair tested the upper boundary of a descending channel pattern at 1.5120. As for the near future, it is likely that the exchange rate continues its movement in the descending channel pattern. 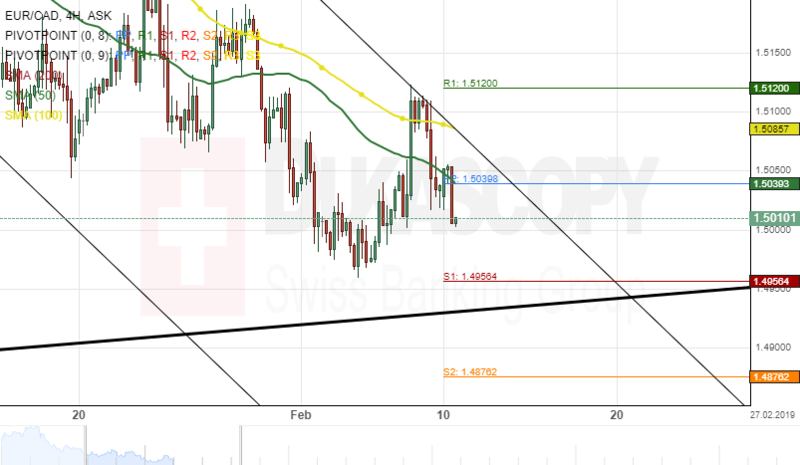 The potential downside target will be near the bottom border of a dominant ascending channel at 1.4945. If the support level formed by the lower boundary of the dominant channel holds, a bullish sentiment could be introduced in the shorter term.